Provide a clear understanding of the product to customers by displaying the Product FAQs. We all know how important it is to have a FAQ section for any product that helps users to understand a product and product-related information that is important for a user before purchase. This initiates the sales for a product and allows users to interact with admin related to support and ultimately it boosts the sales of the product. Our Magento 2 FAQ extension provides complete solution related to Magento product FAQs. 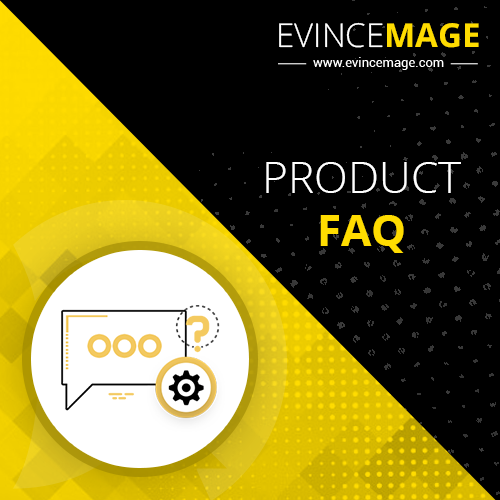 Our product FAQ Magento 2 extension enables the admin to add FAQs related to the product. Not only this, the Magento 2 FAQ extension facilitates the admin to answer the questions asked by the visitors. Our Magento 2 FAQ extension facilitates the admin to add/delete Magento FAQ related to the products. Thus, our product FAQ Magento 2 extension is a really simple tool to add FAQs related to Magento products. The admin just needs to navigate to the Magento 2 FAQ extension dashboard and then click on “Add New Question”. Admin needs to provide details of the product in addition to question and answer regarding the product. After filling all the provided fields, an admin needs to click on “Save Question” button provided on the upper right corner and that's all. The FAQ will now be published in the FAQ section of the product description. The Magento 2 FAQ extension provides an interactive experience to customers so he/she can ask the question related to the product. Customer needs to navigate to the “FAQ” section of the product and then needs to click on the “Ask a Question”. After filling all the fields, the customer can submit the question for moderation. Our Magento 2 FAQ extension then takes care of the rest of the tasks. When the customer asks any question, an admin needs to answer and enable it for displaying it in the FAQ section of the product. Our Magento FAQ extension provides a hassle-free system to answer the questions asked by the customers. Our Magento 2 FAQ module, displays all the questions asked by the customers in the “Product FAQ” grid. In our Magento questions and answers extension, the admin can answer those questions and then “Enable” them to display them on front-end, thus making the whole operations flexible and convenient. The Magento 2 product FAQ extension displays all the questions in the FAQ grid. From this grid, our FAQ extension Magento 2 provides a complete set of tools to manage all the questions. Admin can edit, delete, enable, disable or answer any of the questions as and when required according to the requirements. The Magento 2 FAQ extension provides a wide range of filter to the admin for processing and managing the Magento product FAQ. The Magento questions and answers extension provides filters to shortlist the products. Besides that, Magento FAQ extension allows the admin to view questions with the wide range of attributes provided in the “columns” section of the grid. Upon selection of a variety of attributes to view questions, our Magento product FAQ extension allows admin to create multiple views as per requirement and it really saves lots of time. 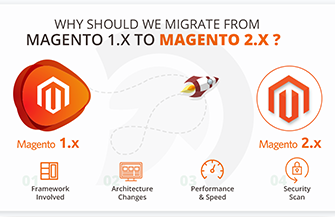 The admin can easily install and configure product FAQ Magento 2 extension. The admin just needs to “Enable” the extension form the “Configuration” section of stores. This is all to configure the extension.